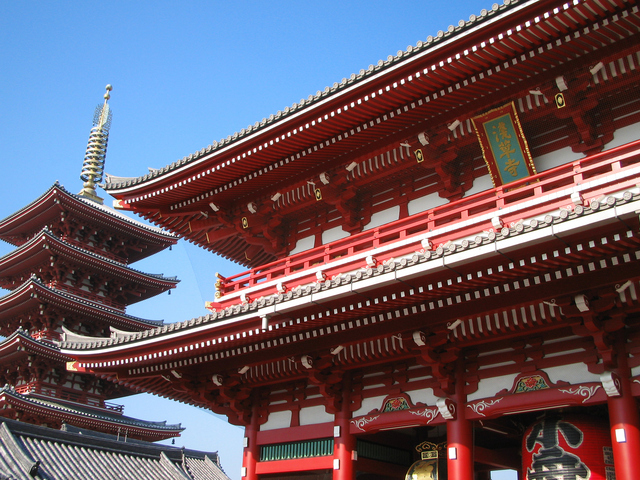 (1) Explorers Japan Inc. (hereinafter referred as we) is the responsible company to arrange a tour under the brand name of TokyoWalkingTours.com. (2) We provide a day trip private walking tour of one same party up to six persons in Tokyo and the peripheral areas which you have selected from the tour menus. (3) We offer a national licensed English-speaking guide at the tour. (4) We use public transportation at the tour. Transportation fee is not included in tour fare. We show expected transportation fee at each tour's description. (5) We start the tour to pick you up at your hotel in the center of Tokyo or near the tour destinations. We are also pleased to start a tour at the initial destination if you happen to be there. Likewise, we can finish the tour at the final destination if you would like to stay there longer and you can manage to return to your hotel alone. (6) We need your information if you have health problems for safe travel. We try to meet such requests to the extent reasonable and feasible; however, they cannot be guaranteed. (7) We do not make arrangement for accommodation, and does not make reservations for transportation nor purchase the tickets in advance. (1) Tour fare varies depending on the tour and is shown at each tour's description. - An English-speaking guide service provided during sightseeing and transfers. You may cancel the tour contract before the tour begins by paying cancellation charges as specified below. 10 days before the service begins ---------10% of tour fare. 2 to 5 days before the service begins ---------20% of the tour fare. The day before the service begins ---------50% of the tour fare. The day of the tour---------100% of the tour fare. (1) We reserve the right to cancel the tour contract in the case of such natural disasters, suspension of services by transportation or touristic facilities, and tour guide's illness. We refund the client the tour fee already received. (2) The tour guide will carefully try to take you to the planned destinations. The tour fee shall not be refunded if the planned destinations cannot be completed due to time constraints and any other reasons not attributed to the tour guide's gross negligence. (2) When we have made arrangements with good faith to fulfill the client's requests for arrangement, our obligations under a tour contract shall be deemed as being fulfilled. Thus, failing to make booking due to lack of vacancies or to meet your requests, etc. does not constitute any our liability as long as we performed its obligations in a proper manner. (3) We are not liable for any negligent or willful act of suppliers of selected destinations, transportations, accommodations and other services, since they are independent contractors and are not our agents or employees. (4) We shall not be liable for client's damages due to such reasons as natural disaster, weather conditions, civil unrest, labor ,war ,accident, government order, and revision or cancellation of schedule due to transportation facilities and/or traffic congestion, and any cause beyond our control of and/or the tour guide. Other Cost: Transportation cost and admission fee for each participating guests. Please pay these costs directly to the corresponding service provider. Consumption tax will apply as the service is rendered in Japan. Payment Method: Only credit card (VISA/MASTER) Shipping/Delivery: After the approval of the credit card, the guide will deliver the service on the tour date. Return and Refund Policy: Cancellation policy as shown above will apply in case of cancellation.